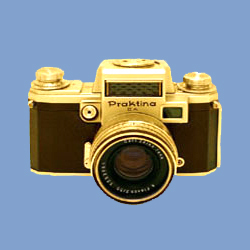 All the Eyelevel Finders fit all the Praktina cameras. 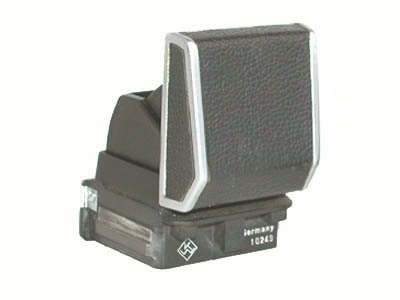 Type 1: the front is covered by leather. 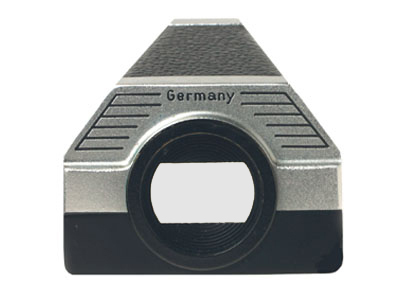 The type 1A has the mark "Germany" on the back; in the type 1B this mark is missing. 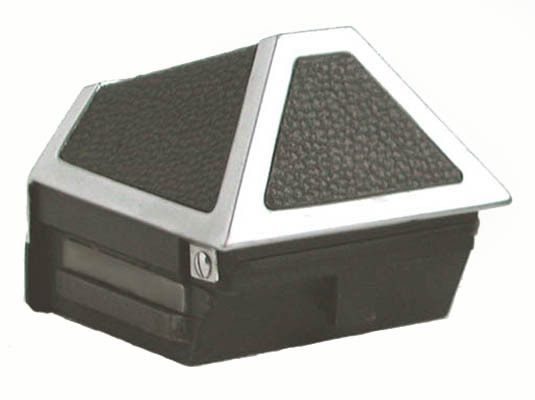 Type 2: "KW" logo on the front. 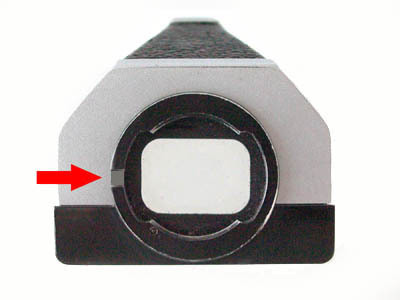 The type 2A has the eyepiece collar with thread and bayonet mount, the type 2B has a notch to fix some accessories. 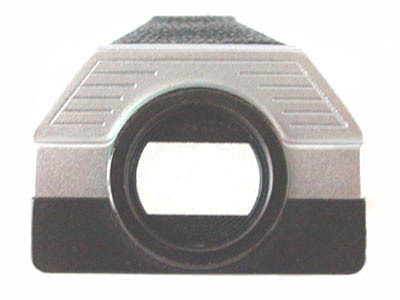 All the Waist-level Finders fit all the Praktina cameras. 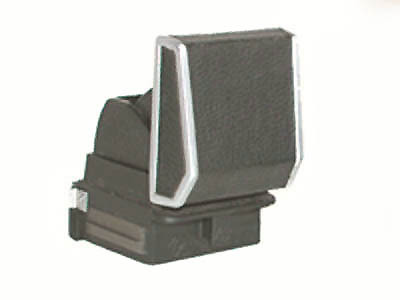 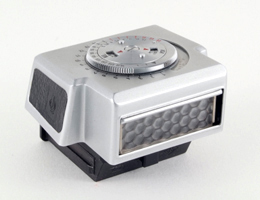 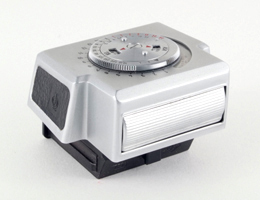 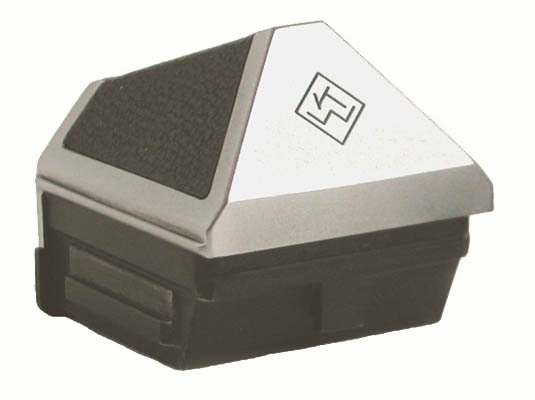 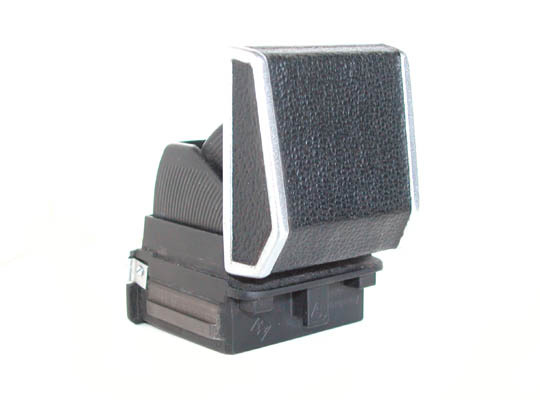 This finder can not be mounted on the Praktina IIA model A Version 4, Praktina IIA model DA Version 2 and Porst reflex. 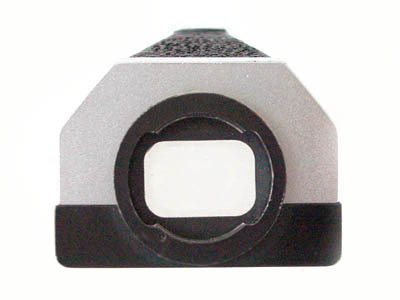 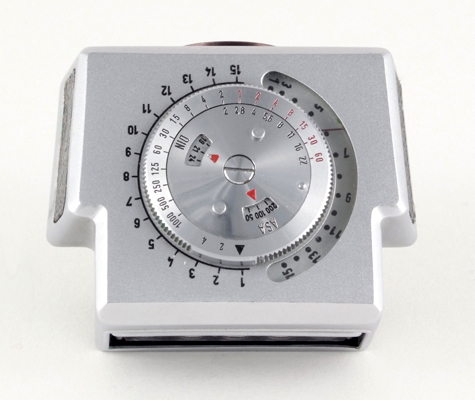 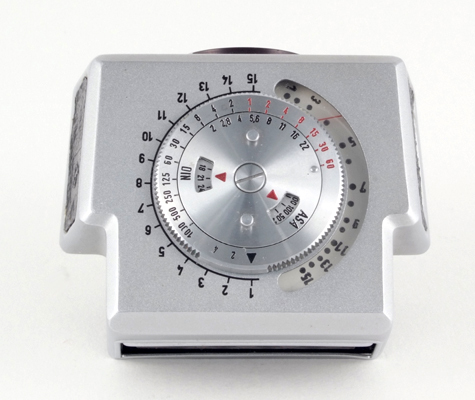 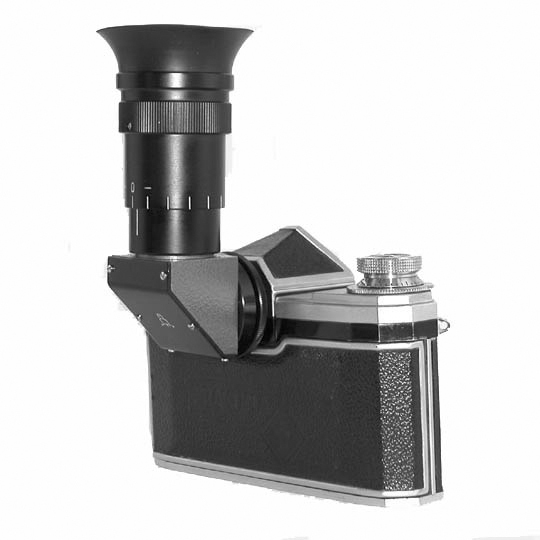 This finder for macro photography provides a full frame image with 6x magnification and fits all the Praktina cameras. 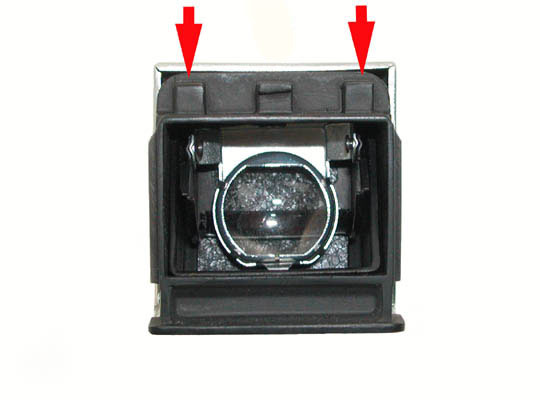 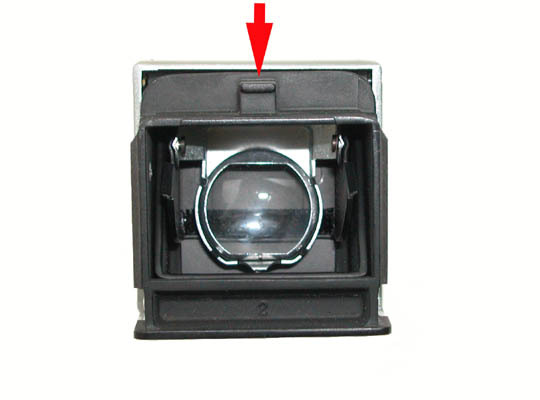 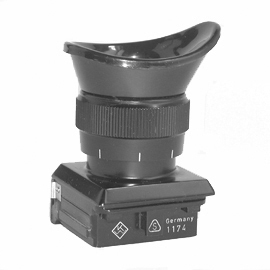 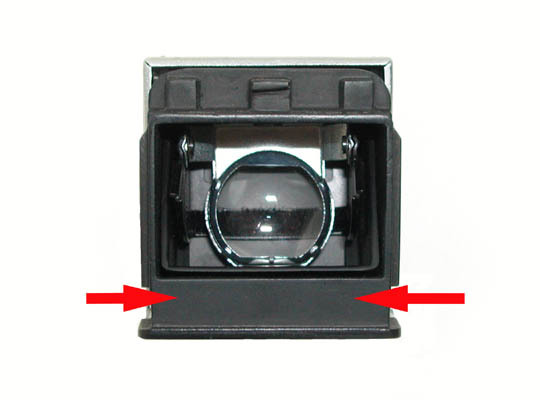 The Right-Angle Viewing Attachment fits the Eyelevel Finder Type 2B and the Meter Finder.